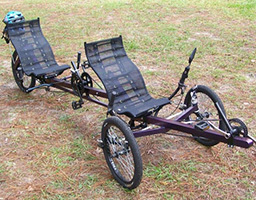 AtomicZombie DIY Plans | Plans for Recumbent Bikes, Trikes and Gym Equipment Anyone Can Make. Easy To Follow DIY Plans For Everyone! Our DIY Plans detail every aspect of the building process using easy-to-follow instructions, high resolution pictures and diagrams. Even if this is your first attempt at building something yourself, you will be able to follow our plans, as no previous expertise is assumed. Real photos of the projects, and detailed diagrams are used instead of complex drawings, so anyone with a desire to build can succeed. You will only need a minimal set of inexpensive hardware store tools such as a welder, angle grinder and hand drill. To ensure that anyone can follow our plans, all welding was done with a basic AC stick welder, and the only other power tools used are an angle grinder and hand held drill. Every single DIY plan on this site was built by one person using only minimal tools in a small workshop. No difficult to find or non standard parts are used in our DIY plans, so you can acquire most of what you need at the hardware store, thrift stores, or even scrap yards. 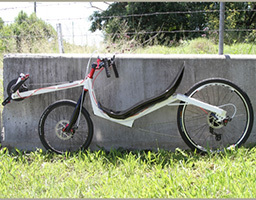 Our plans allow a great deal of modification as well, so you can adapt your project to the parts you have available, or easily add your own modifications to suit your individual needs and style. Do it Right... do it Yourself! Great variety of plans, easy to follow instructions, and an active online community. Highly recommend! Great info, awesome projects and the forum is the best homebuilders advice centre anywhere!! Since 2001, AtomicZombie DIY has been a source of inspiration for Garage Hackers of all ages and skill levels. 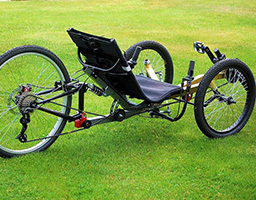 Many of the amazing DIY Recumbent Bikes, Trikes, and Choppers shown in our Builder's Gallery were built by first timers to this fun DIY Hobby. Show off your own home built bikes and trikes in our Builder's Gallery, and discuss your works in progress in our friendly Support Forum. AtomicZombie is all about the DIY Community, and we love to see what other people are building based on our DIY Plans. Our Instantly Downloadable DIY Plans range in size from 30 to 300 pages in length. Start Building Today! 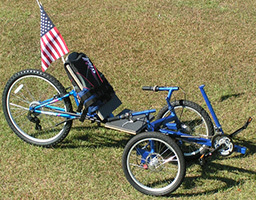 Learn How to Build it Yourself - Our DIY Bike And Trike Plans Show Everything. DIY Means Building Yourself a Better Life. Unleash your creativity, and turn your drawing board ideas into reality. You don't need a fancy garage full of tools or an unlimited budget to build anything shown on our DIY site, you just need the desire to do it yourself. Take pride in your home built projects, and create something completely unique from nothing more than recycled parts. 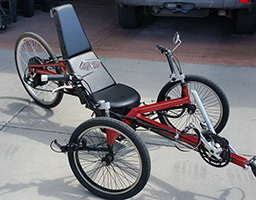 Learning to build your own DIY Bikes, Trikes, or Exercise Machines is a skill easily mastered by anyone, and it is a transferable skill that will fuel your DIY hobby for a lifetime. Take a stand against the flood of cheap, mass produced products, and build something much better of your own design, something that will offer a lifetime of reliable service. Our easy to follow DIY plans start at the beginning, and work through the entire build with many detailed photos and instructions detailing how and why things are done. 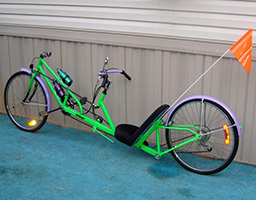 It is easy to add your own unique modifications to any plan, or mix and match several plans together to create completely unique DIY Bikes, Trikes, Choppers, or Exersize Machines of your own design. Large variety of plans, easy to follow instructions. I'm just waiting for the weather to warm up a bit so I can do some building! Sorted and like minded individuals. Mix and Match Plans Together - Create Your Own Custom projects. Become Part of The Growing DIY Community. AtomicZombie has been a proud member of the Worldwide DIY Community since 2001, and we run this website as a source of inspiration to spark others into the DIY lifestyle. Every single project on this site has was built by me ("Radical Brad") using only basic tools and parts in an old unheated shack, and I do it all on spare weekends. I thank everyone who has supported my efforts, and am always driven to keep going when I see what others have done using plans or ideas from my site. Greets out to all DIY Freaks out there! There is great pride in showing off something you made from scratch on a minimal budget, especially when others ask; "where did you buy that amazing ride"? 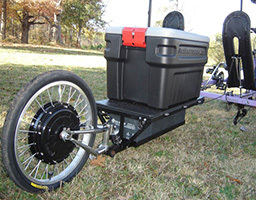 Also, when you build it yourself, you end up with something that does exactly what you want, and your DIY projects will be easy to service and modify as required. Of course, building something is also a fun and healthy pastime. The DIY Community is open to all ages and skill levels, and it offers a level of independence that allows you to fix, modify, or create just about anything you need. 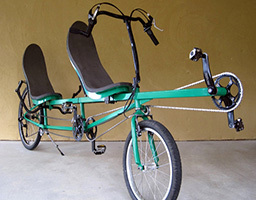 Many of the impressive DIY Bikes, Trikes, Choppers, and Exercise Machines shown in our Gallery where made by first time builders with minimal tools and a desire to create. So if you have been thinking about building something creative, then let our Easy to Follow DIY Plans get you started in this rewarding, self sustaining hobby. Get those sparks flying! Download Plans Instantly - Start Building Something Unique Today!